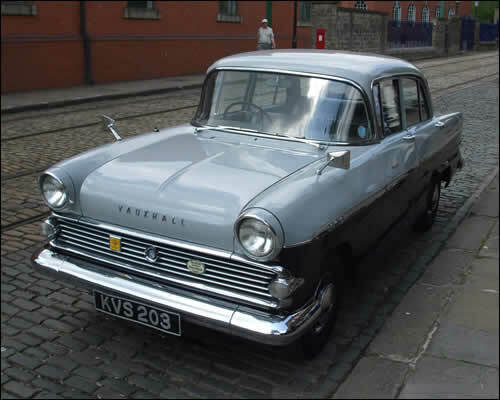 A nicely restored Vauxhall Victor (F series) saloon, manufactured from 1957 to 1961. I spotted this beauty at a visit to The National Tramway Museum Crich Tramway Village nr Matlock, Derbyshire, DE4 5DP. It's definitely worth a visit for a great day out.